Bananas: Although they are also a great fruit to consume regularly, bananas contain a great deal of vitamin B6. This vitamin helps the brain produce serotonin, a chemical to mellow your mood and peacefully glide you through any crisis. Asparagus: Asparagus is a veggie high in folate, a calming B-complex vitamin known to reduce feelings stress and anxiety and produce dopamine for the brain. Enjoy cooked or raw asparagus to reap the benefits of this powerful food. Sunflower seeds: Another great source of folate are natural sunflower seeds. Just make sure they’re not laden with salt or other unhealthy additives! Ginger: Ginger is a stress-reducing super-food! It contains an antioxidant called gingerol which wards off the chemicals in the body that lead to mental and physical stress. Ginger has also been found to help relieve gastrointestinal issues like upset stomachs, motion sickness, and even menstrual discomfort. Milk: Take note of the little ones in your life and drink up your Vitamin D! Studies have shown that women who consumed four or more servings of lowfat or skim milk every day were half as likely to incur stress-related PMS symptoms than ones who drank one or fewer servings per week. A glass of warm milk each night before bed may be all you need. Cashews: Our bodies have no way of storing Zinc, so it’s key to get some each day through zinc-rich sources like cashews. Low Zinc levels have been linked to anxiety and depression. Just one one-ounce serving of these nuts has over 10 percent of your recommended daily allowance of Zinc. 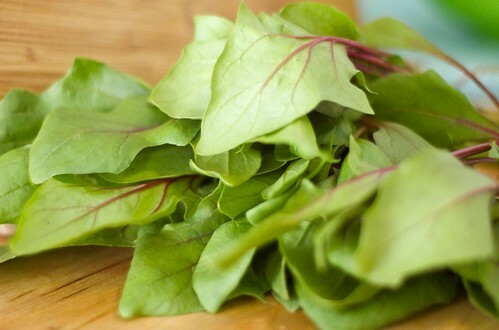 Spinach: Just one cup of spinach can significantly boost your magnesium levels for the day. Magnesium deficiency has been shown to increase irritability, stress, fatigue and indigestion. Nobody wants that. Tea: Natural teas like green tea and chamomile tea contain relaxing properties and promote sleep. Studies have even shown that when people affected by generalized anxiety disorder regularly drink chamomile tea, their anxiety symptoms drop off significantly.